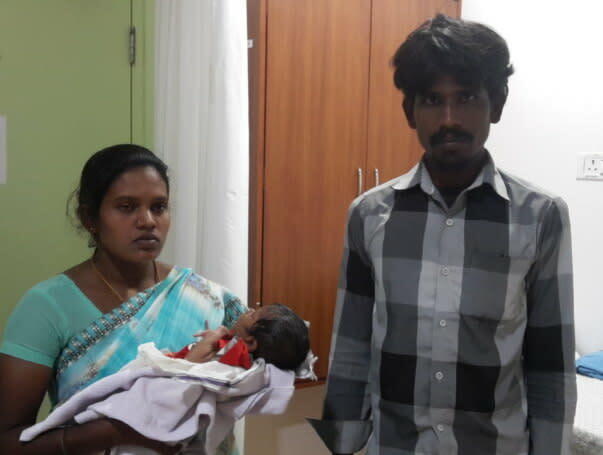 Anandhi and Sadhasivam were thrilled with the arrival of their baby. Anandhi did not have any complications during pregnancy and all the scans were completely normal. They were least prepared for bad news. They were thrilled when their son was born, but their happiness was short lived. Their baby has a heart defect and needed surgery they couldn't afford. Anandhi and Sadhasivam are from a village in Dharmapuri district, Tamil Nadu. 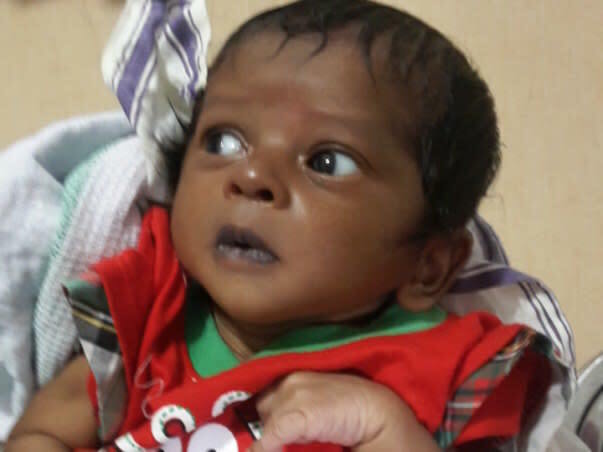 When Anandhi's baby was born, he seemed to be healthy. Anandhi took him home happily. The entire family was thrilled with his birth. But on his fifth day, he suddenly couldn't breathe. Terrified, Anandhi rushed him to the hospital. 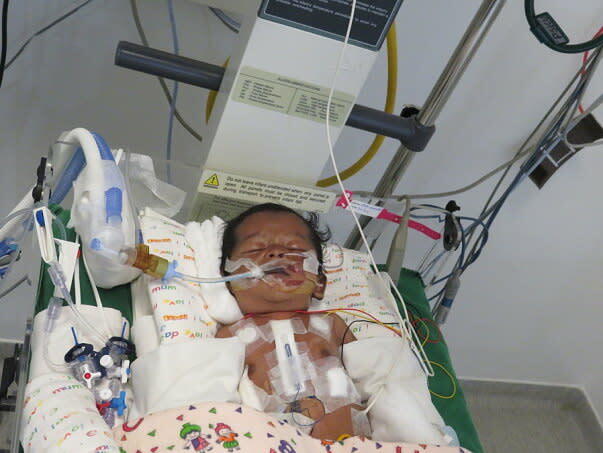 That was when the parents learnt that the baby had a heart disease and needed urgent surgery. Anandhi fainted on hearing this. She couldn't believe what she heard. She and Sadhasivam took their son to different hospitals, but every where the result was the same. 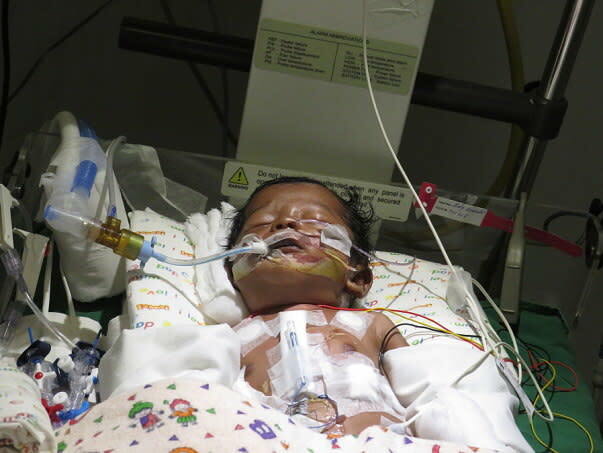 They even came to Bangalore when his condition became so critical he needed an emergency surgery. 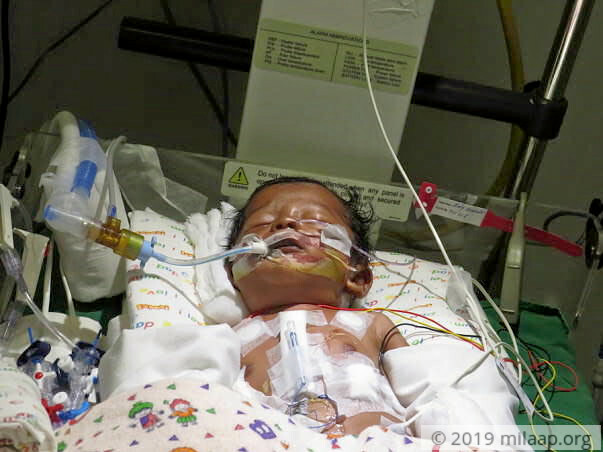 Anandhi's baby is still in the ICU and needs breathing support. "For the past 2 years, we have been through so many hardships. After a long time, it was my son who brought happiness at home but even that didn't last long. I thought he would be my saviour but he is fighting for his life and I'm helpless. I can't bear to lose him now." - Anandhi. Sadhasivam feels completely lost and disheartened. Two years back, he had an accident and lost three fingers in his right hand. He cannot go for regular work but manages to find odd jobs to earn money. He lives in the hospital corridor now and has no money even for the next meal. He doesn't know whom to turn to for help. When doctors said that a surgery needed to be done immediately, the parents were shocked. They couldn't understand how their son's little body could bear a surgery. He was only 23 days old then. They were still hopeful that they could take their baby home after the surgery. Despite the surgery, he is still in the ICU and needs to stay in the hospital to recover completely.
" I feel so guilty and frustrated. My wife is crying all the time. I don't have the strength to even console her. She knows I can't do anything. She is struggling all alone. I don't know what I can do to make her feel better or to save my son's life. I can't imagine going back home without him." - Sadhasivam. Anandhi's baby needs intensive treatment and a prolonged stay in the hospital. She has a 3-year-old daughter Naveena who is in a relative's house. Anandhi is longing to go home to her daughter. She is totally exhausted and is fighting to somehow save her son. Anandhi and her husband have borrowed heavily from their friends for the surgery. Despite that, their medical bills are mounting. Their baby needs to be in the hospital for 20 more days at least. This baby has a high chance of recovery if treatment is continued. They need Rs 4.5 lakhs for the treatment. Your contribution can help them save their son's life. 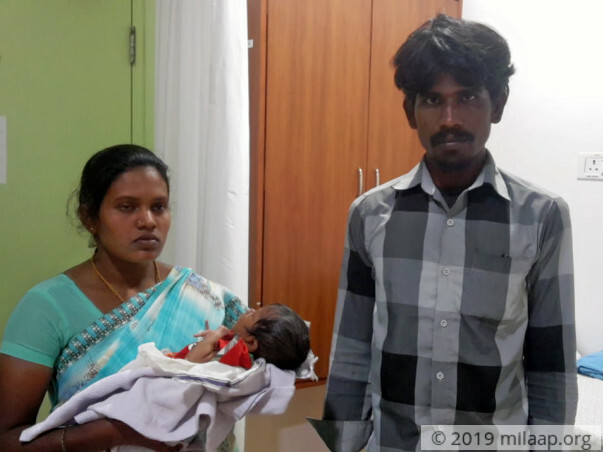 Baby of Anandhi was just 20 days old when she underwent a successful intracardiac TAPVC repair by modified suture less technique on 11.02.2018. child was ventilated for 4 days and came off oxygen in next 4 days. after 14 days of stay in the hospital the child was discharged in a stable state and presently doing well. 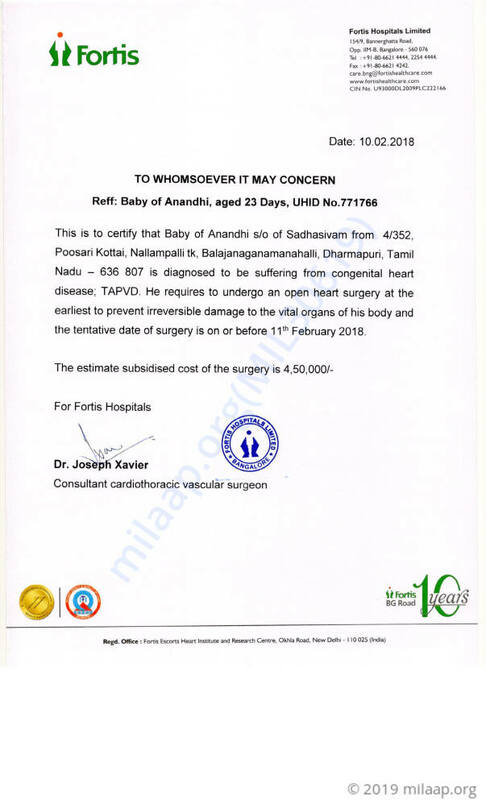 Please accept our sincere words of appreciation and gratitude for your generous gesture and the efforts taken to send across your valuable contribution to Fortis Hospital to save the life of this innocent child. The prayers of these people and our own are always with you and your family.